The Los Angeles Kings won game one of the their Western Conference Quarterfinal match-up with the Vancouver Canucks, giving them the 1-0 series lead. 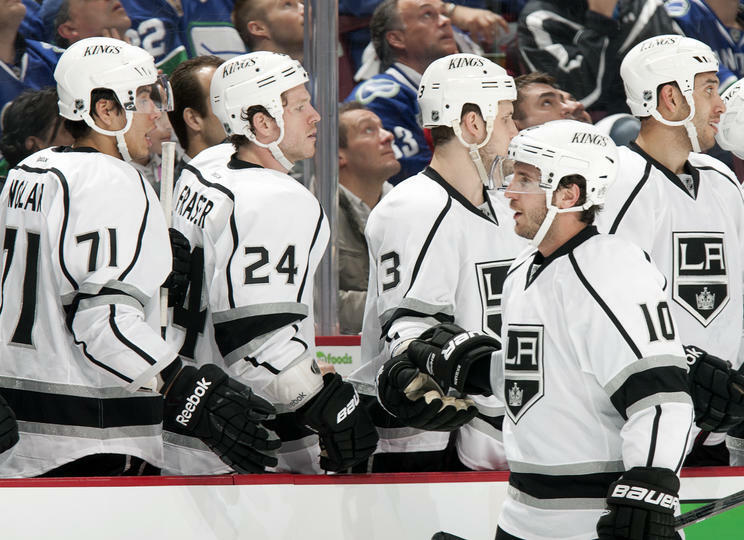 Along with grabbing the series lead, the Kings stole the ever important home ice advantage from the Canucks. The Kings controlled a good amount of the game, and out shot the Canucks 39-26. If not for the stellar play by Roberto Luongo, the game may have gotten out of hand and ended with a much bigger margin than just 4-2. Game two of the series is later tonight and when the puck drops for the opening period, the Kings will have the opportunity to take a 2-0 series lead with them as the series switches gears and heads to Los Angeles. Canucks star, Daniel Sedin, is unlikely for game two which gives the Kings another reason to drool at the chance that has presented itself. Grabbing a couple wins before Sedin gets back into the line-up, if he returns at all, is the perfect scenario for the Kings. A win tonight would put the Kings in the drivers seat and in firm control of the series. However, if the Canucks even the series it could give life back to their locker room and vital momentum heading into the next two games in California. Returning to Staples Center with a two game lead, and dare I say a chance at a sweep of the team that eliminated the Kings two years ago, would have the fans in Los Angeles welcoming their team back with thunderous cheers for games three and four. If the Kings win tonight and go on to win the series, tonight could be the game that set up and gave the Kings the confidence needed to propel themselves into the second round.